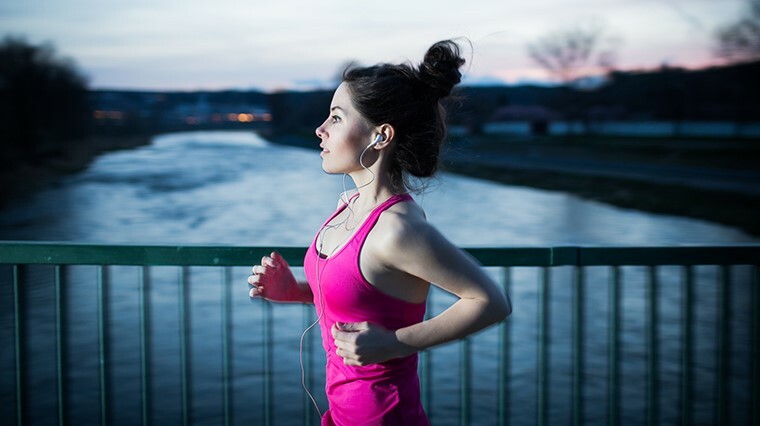 Does your hair whip around like a banshee on your runs? Is your brush a frizzy monster? Some pre-run prep and post-run care can help you maintain locks you love. Here’s our list of hair ‘don’ts’ and our tips to counter them. The tight ponytail is a go-to for many runners, with its easy tie-up and go style. As tempting as it is to grab a bunch of cheapies from the local $1 shop, your choice of hair tie does make a difference. You want to make your hair stay put and hold back flyaways without putting it into crisis. Solution: Avoid hair ties with a metal clasp as they can catch on your hair and cause breakage as you pull them out. Skinny hair ties can strangle your hair and tight hair styles cause tension from the roots. Opt for stretchy, soft and seamless fabric hair ties or rock the retro style with a scrunchie (hello 90s!) that minimise creasing and won’t squeeze your hair too tight. Relaxed but secure is the goal to keep your hair happy. Putting the same hair style on repeat can cause hair trauma and tension focused on one area, weakening the hair shaft. Solution: Mix up your do. Do a bouncy high ponytail one day, a low pony the next and occasionally throw in a chic bun or braid that requires no elastic at all. Also, be wary of placing hair clips in the same area as they can crush your strands. We get that you’re super busy, but hair is weakest when wet. This time-saving method may get a few second back on your clock but can be damaging to your tresses – particularly with all the tugging and pulling that can distress the hair follicles. Snap! Solution: Let hair air dry before brushing and styling. Avoid aggressive towel drying (guilty!). Instead, gently dab your hair dry with a soft and absorbent microfibre towel and if you choose to follow that with a blow dry, do so gently at the coolest setting. Working out like a machine is awesome for your body, and although perspiration serves a function as a natural cooling mechanism during a tough sweat sesh, it can wreak havoc on your hair. The salt content in sweat is naturally drying – making hair prone to breakage and causing irritation to your scalp. Solution: Hello hairbands! The right hairband or even better, a sweatband will fight off sweat and help keep your head and hair free of its drying influence. Keep a lookout for sweat absorbing fabrics to lighten the sweat load on your scalp. A lot of gym goers also rave about the miracle workings of dry shampoo – apply it to dry hair (not wet or sweaty!) pre-run to soak up sweat on the go and ward off that drowning-in-grease feeling. 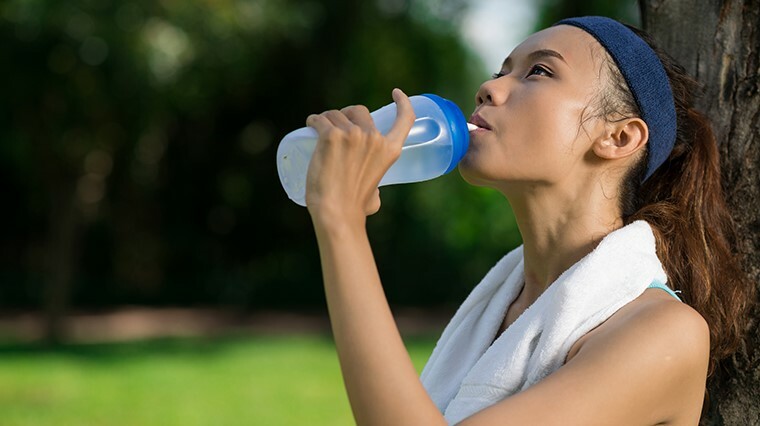 Have a shower or rinse your hair with cold water post-workout to wash out sweat, allow your scalp to ‘breathe’ and free your hair of damaging salts and bacteria build-up. We love a healthy dose of vitamin D, but too much sun exposure can cause your hair to become brittle and dehydrated, stripping it of moisture. 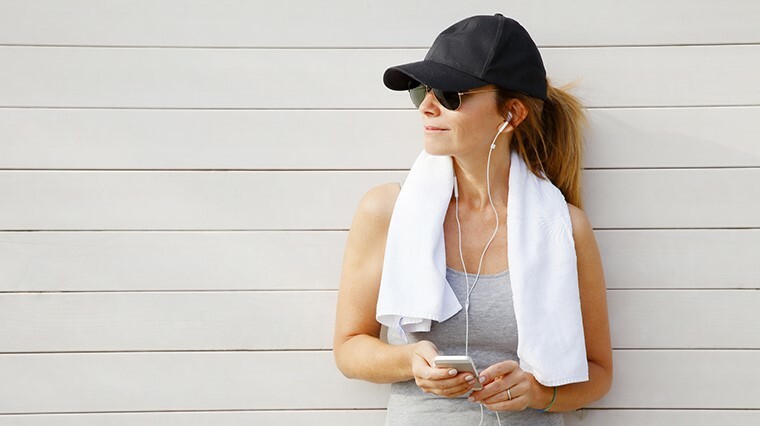 Solution: It’s no secret that a quality running cap is your summer essential – helping protect your hair as well as skin. Many running caps and visors have an inbuilt sweatband for a two-in-one benefit. A high quality leave-in conditioner can help boost hair-loving moisture when exposed to the elements. It’s also a good option to freshen up and defrizz if you need to skip the post-workout shower. If you’re like us, you know the frustration of a bad hair day and the urge to brush it into submission after a sweat sesh. But when a tumbleweed of hair rolls by its time to take a deep breath and re-think your methods. Solution: Brushing your hair from the roots down may seem like second nature but in fact, it can cause breakage and knot your hair up even more. Let’s avoid the bird’s nest look. Instead, start by brushing from the bottom, focusing on the last couple of inches to prevent getting caught on every single knot on your way down. Once you’ve tackled that section by section and are tangle-free from the bottom, head back up to your scalp to finish the job. 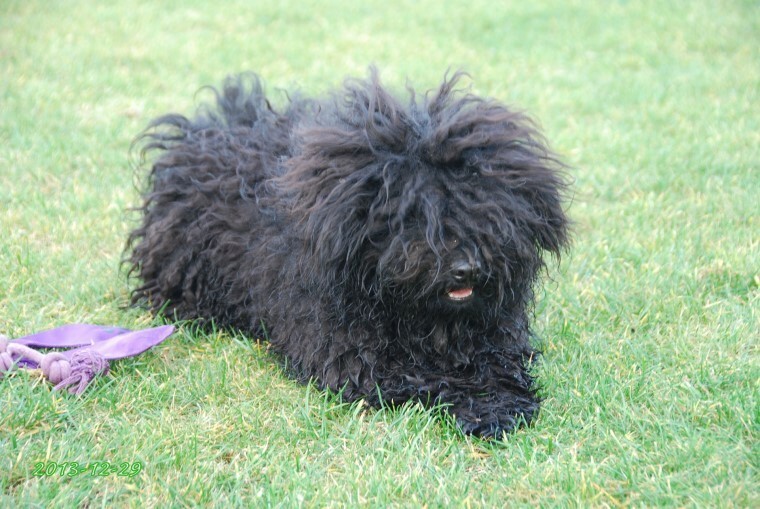 Not all hair brushes are created equal – and a brush can be overkill and do more harm than good when it comes to a massive detangling job post-workout, especially if you're having a bad hair day like this pooch. Solution: Pesky knots? Gently finger-comb your hair to identify and isolate the knot and use the right tools for detangling - a wide-tooth comb is ideal for stubborn knots without wrenching out hair in the process. A fine-tooth comb can catch any smaller knots you may have missed, but be extra gentle with this tool to avoid tugging at delicate hair. Warm a small amount of coconut oil in your hands or argon oil and apply to knots to increase the ‘slip-factor’, making it easy to glide your comb through disobedient hair and tame frizz.